A trails master plan explores opportunities to enhance and expand multimodal facilities, for both recreation and transportation purposes within a community. A trails master plan aims to improve connectivity to local destinations, close gaps in the trail system, increase safety and accessibility for all trail users, support economic development, and enhance the quality of life for area residents. Additional major considerations also include American Disability Act (ADA) accessibility, connectivity to future community development, and connectivity to corporate campuses and businesses. The purpose of a trails master plan is to provide clear direction to the community and its elected officials to invest in future trail connections while fostering additional opportunities to extend and expand the trail network. Improved community health and wellness is directly related to increased levels of physical activity. 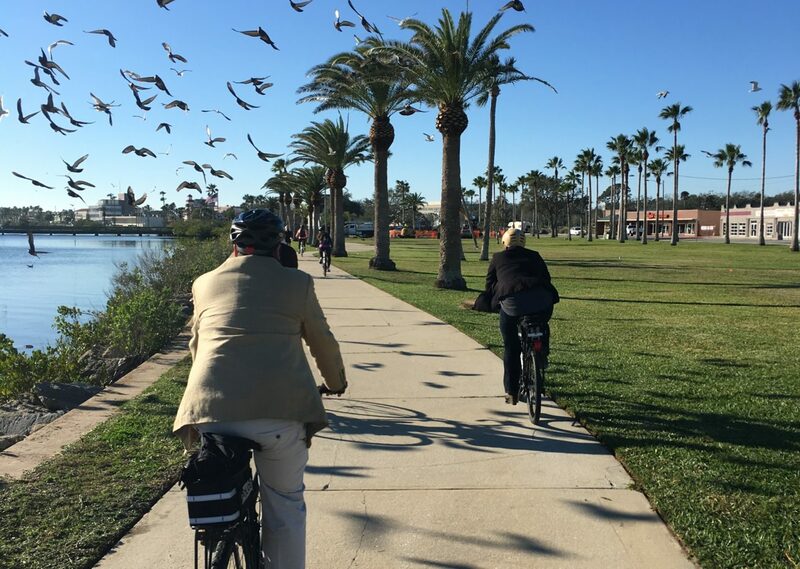 The ability for all residents and visitors to safely and conveniently walk and bicycle is a fundamental equity measure and translates to numerous community health and equity-related benefits. A growing body of literature has shown a strong connection between parks and trails and increased physical activity. An expanded trail network, in combination with a complete network of sidewalks bike lanes and bike routes, could dramatically increase safe and convenient opportunities for residents and visitors to walk and bike, leading to increased frequency and duration of physical activity among residents. This could, in turn, lead to reduced risk of obesity, diabetes, heart disease, stress-related health problems, and other health concerns attributed to physical inactivity. A successful trail network will result in increased access and connections to many local and regional destinations. It provides residents and visitors with more travel options and presents a safe, comfortable, efficient, and enjoyable way for people to get around. Additionally, a trail network provides a community with transportation-specific benefits related to reductions in the number of vehicle miles traveled (VMT). These benefits include reductions in the estimated costs of congestion, vehicle collisions, road maintenance, and direct household vehicle expenses – as well as the estimated environmental impact associated with vehicle emissions. Trail networks provide residents and visitors access to local parks, regional destinations of cultural and historical significance, and all of the everyday connections that the community makes for work, school, shopping, and play. Tourism is an increasingly important basis for developing trail networks. Trail networks may also lead to the creation of tourism-based jobs. Additionally, the transportation and recreation amenities that the network provides could incentivize residents and business owners to invest in property. A comprehensive trail network provides recreational and transportation opportunities for bicyclists, pedestrians, and other active users. Connectivity to an on-street network of bike lanes, signed routes, and sidewalks extends the reach of the network and provide access to destinations, neighborhoods, and places of employment. Providing for seamless transitions between trails and on-street facilities encourages use of the facilities as one comprehensive network. Greater network connectivity can also be achieved through providing bicycle and pedestrian connections at street ends. A trails master plan addresses and identifies projects based on trail audit data and existing trails analysis, and prioritizes projects based on best practices in the field, providing connections to key destinations, closing network gaps, and serving a wide range of users. The trails master plan should define potential project segments and prioritize these segments to identify which projects will have the most impact and should be implemented first. A trails master plan should also provide potential funding sources at the local, state, and federal levels. Alta’s vast experience in trail planning and implementation allows us to identify the best trail types and design details to accommodate each setting, type of prospective user, and different types of multi-use trails.